Curtis L. Decker, J.D. 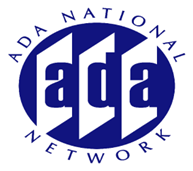 National Disability Rights Network (NDRN)* Washington, DC Curt Decker has been affiliated with the National Disability Rights Network (NDRN)* since its inception in 1982. As Executive Director of the nation's largest non-governmental enforcer of disability rights, Curt oversees all activities related to training and technical assistance, membership services, and legislative advocacy. Before founding NDRN with other P&A Directors, Curt served as Director of the Maryland P&A - the Maryland Disability Law Center. Curt also served as Director of the H.E.L.P. Resource Project for Abused and Neglected Children for four years, and was a VISTA worker prior to working as a senior attorney for Baltimore Legal Aid Bureau for five years. Curt currently chairs the Consortium for Citizens with Disabilities (CCD), a coalition of over 100 national disability groups, and serves on the boards of Friends of Research and Opera Vivente. In his career, Curt also served as a legislative consultant for numerous groups, including the American Association on Mental Retardation, the National Public Law Training Center, and the Maryland Academy of Physician's Assistants. He is a graduate of Hamilton College and Cornell Law School. * formerly the National Association of Protection and Advocacy Systems (NAPAS). 11/28/2000 - Question to the Supreme Court: Is Title II Unconstitutional?